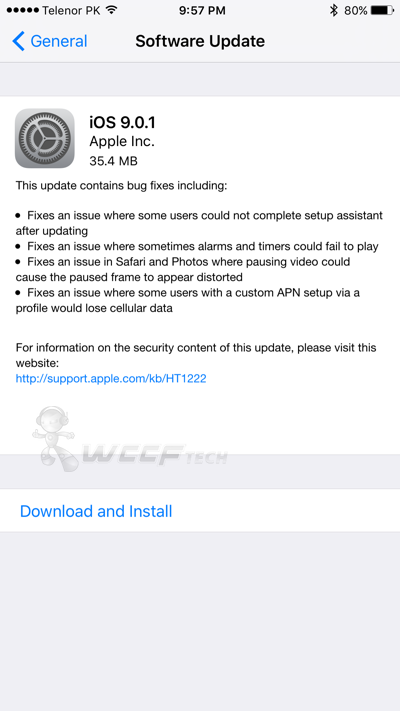 iOS 9.0.1 update for iPhone, iPad and iPod touch has been released. Here’s what is new in the update. According to the changelog posted by Apple for iOS 9.0.1, it seems as though the update is nothing more than a bug fix release. 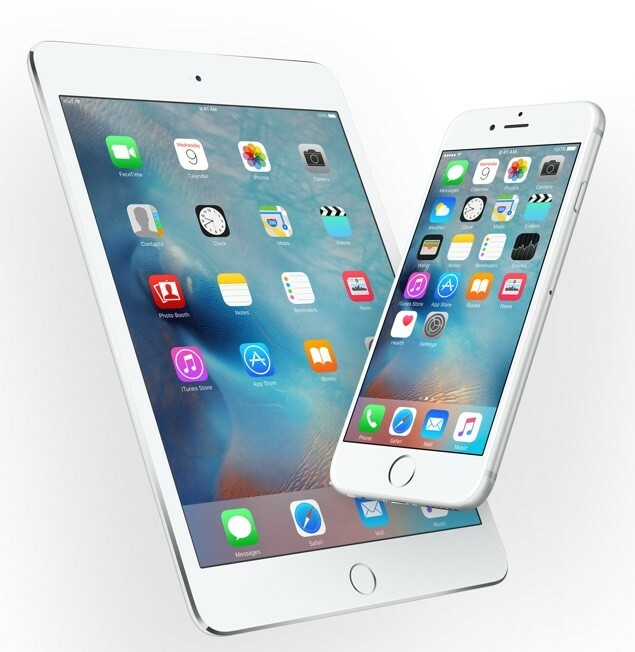 There are two routes which you can take if you want to install iOS 9.0.1 onto your device. The first, of course, is by downloading and installing the update over the air (OTA). In order to do that, make sure you have more than 50% battery life on your iOS device, and connected to WiFi. Head over to Settings > General > Software Update to view the update. Tap on ‘Download and Install’ and rest is all magic. The second route users can take is by downloading the iOS 9.0.1 IPSW file onto your PC or Mac, then update using iTunes. It’s a great road to take if you’re running into a bunch of problems with iOS 9 already, and starting over fresh is always a good thing when it comes to an iOS device. Depending on the route you take, you’ll end up with iOS 9.0.1 on your device. Looking for the iOS 9.0.1 IPSW files? You can download them all tailored for your device from the links below. It’s great to see that Apple has pushed out the first ever point release for iOS 9, setting things in stone that the company is working day and night to ensure the best user experience for every iPhone, iPad and iPod touch user around the globe. If you’re currently sitting on iOS 9, then we highly recommend that you update straight away, as the update addresses a bunch of issues in one fell swoop. Did you update to iOS 9.0.1? Do let us know in the comments section below!